It's been a while since Sandy mayor Bill King has seen a contest in the mayoral race. This November, King will have to dust off his campaigning shoes as local Stan Pulliam has recently announced his intention to run against him. "It's a good thing for a little competition," King said in response to Pulliam's announcement. "I'm happy somebody cares enough to come out and get involved. I actually do have to do some campaigning, but I also have a record to stand by." Pulliam is a consultant for Portland-based insurance firm USI, working with local businesses on their insurance needs, and he also has a history as a campaign manger and chief of staff for legislators in Salem. A Sandy native, Pulliam hopes to "improve the level of communication from city hall to the citizens, the small businesses and organizations in Sandy," and plans to operate with utmost transparency. "I think there's been several examples where communication could have been better, particularly with explaining decision-making processes as well as engaging small business owners with city decisions that (are) incredibly impactful on local business," Pulliam noted. He cites the recent dispute over the Pleasant Street Master Plan's proposed realignment of Alt Avenue and Shelley Avenue, which would have affected longstanding businesses Clackamas County Bank and Leathers Fuels. "I want to engage all stakeholders early on in the city decision-making process," Pulliam said. If elected, Pulliam plans to exercise his practices of "transparency" and open communication with his fellow councilors. "It's important to build a relationship with each councilor individually to seek out their opinions and concerns," Pulliam noted. "I think by doing so we'll find we share a lot of the same concerns and goals." One of Pulliam's goals if he is elected is to encourage forward momentum on ongoing city projects, such as the Sandy Community Campus proposed for the old Cedar Ridge Middle School property. "I think the Sandy Community Campus project is something that needs to begin to get resolved," Pulliam said. "I think there's a lot of potential in that property that have some outstanding possibilities for the community. That said, (I want to be) a good steward of taxpayer money and not stifling or competing against local businesses." Pulliam recently addressed the city council about the proposed renovations to the Olin Y. Bignall Memorial Pool, asking they consider the impact the facility may have on the Mt. Hood Athletic Center's existing pool business. Should Pulliam not get elected in November, he said he intends to remain involved in the community. 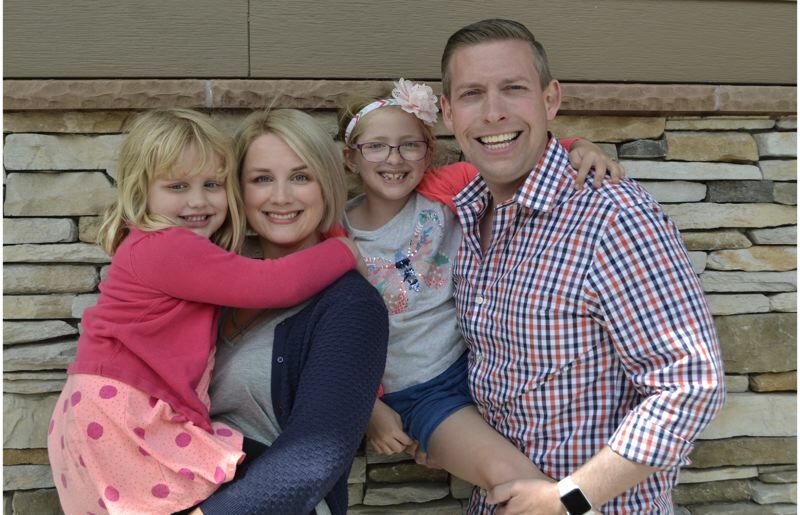 Right now Pulliam is serving on the Sandy Area Chamber of Commerce Governmental Affairs Committee and the Sandy Community Action Center Board, and his wife, MacKensey, sits on the board for the Oregon Trail Academy, where their two daughters are students. "Regardless of the outcome of November, my wife and I will be part of the discussion of our community in the future," Pulliam noted. We have a vested interest in not only Sandy's history, but where it goes in the future, and I want to be a part of that." Pulliam added that while he loves Sandy, as someone born there and who decided to raise his children there, but he thinks it has potential to be more. "I believe that Sandy is a wonderful city that can simply do a better job of communicating that and taking a good city and turning it into a great city. I think Bill King has been a great mayor and is a good man, but I have a different leadership style that I believe to be more proactive and collaborative," Pulliam said. "I think that Sandy has had the right mayor for the different (phases it's been through). Linda Malone was right for where we sat in the 1990s. Bill King brought the much-needed perspective of a local business owner. I just think as a result of our rapid growth we're in need of fresh leadership, new ideas and a real problem solver."